The Evoluent shape is thoughtfully sculpted for uncompromised comfort and easy-to-reach programmable buttons. No finger contortions are needed to operate the buttons. The right hand wired version 4 Evoluent mouse is now available in a smaller size. 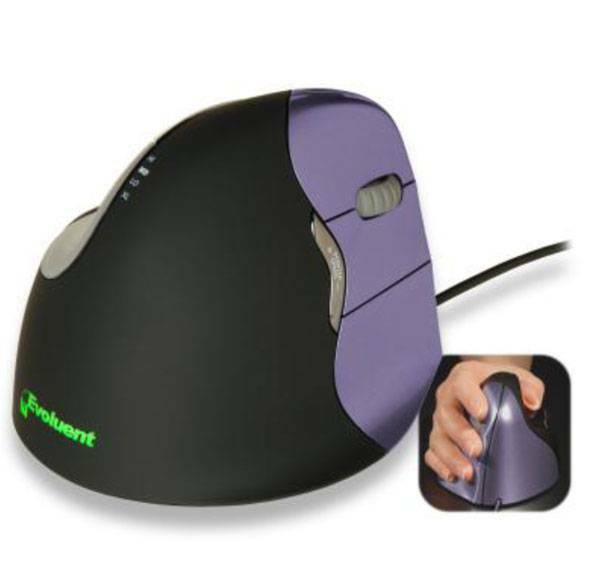 Smaller version of the Evoluent Vertical Mouse for people with hands less than 7 inches or 178mm long from top of middle finger to wrist crease.